This is a Buddhist Temple. 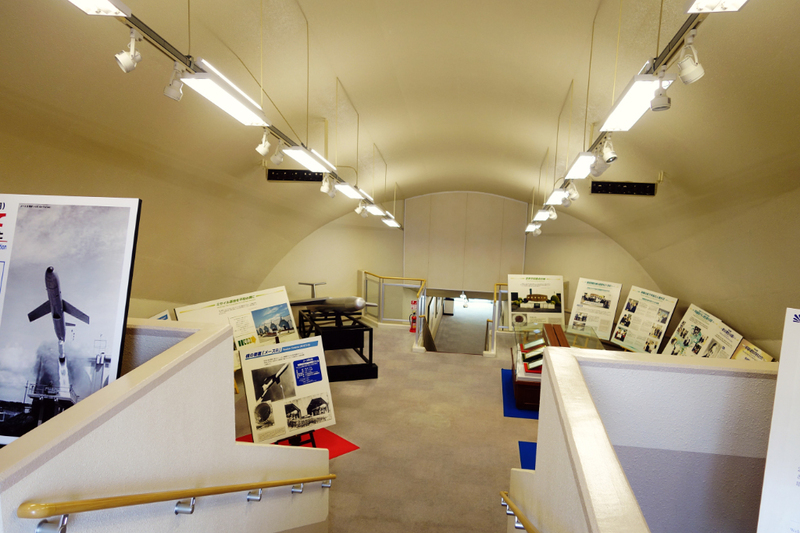 And a former American nuclear missile site…. 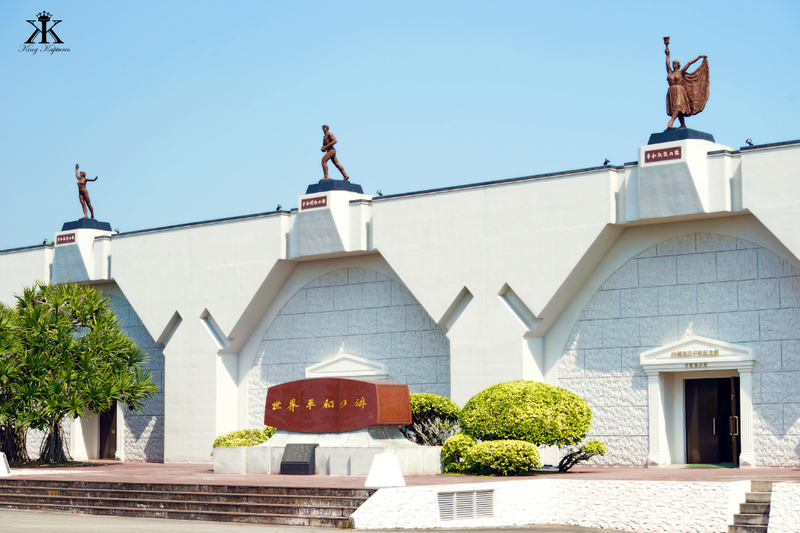 Driving up to the Buddhist Temple entrance, I stopped at the gate where a well-dressed older Okinawan man motioned me to stop. I rolled my passenger window down and greeted him good day. “Konichiwa!” I said with a big smile. “Konichiwa,” came the man’s reply, a bit less emphatic. “Visit?” I asked as I motioned towards the hardened silos ahead in view. He didn’t understand. “Tour?” “Photos?” I finally try as I point to the cameras on my passenger seat and then to the imposing structure just ahead…. Finally, out of desperation, I mimic the launching of a rocket, trace a ballistic arc through the sky, and then mime an explosion, but with appropriate sound effects. Ah, now he gets it…and after signing in with my name and vehicle license plate, I’m directed where to park. 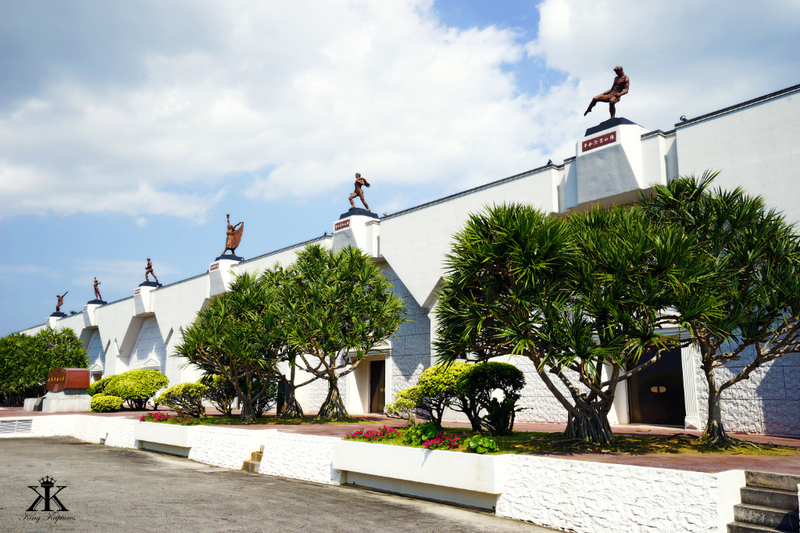 You see, Okinawa is home to the Okinawa Training Center of the Buddhist sect of Soka Gakkai International, a place also known as their “Peace Fortress.” In the early 1970s, SGI’s President Daisaku Ikeda saw the abandoned, dismantled nuclear missile site and was immediately struck by a vision: what better way to utilize such a facility than to dedicate it to peace. 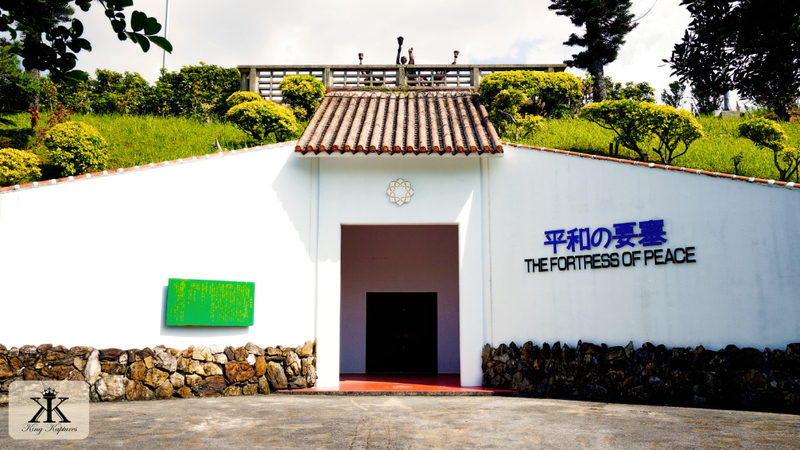 In 1984, he achieved this vision when the site was ultimately transformed and officially opened as a base for world peace. 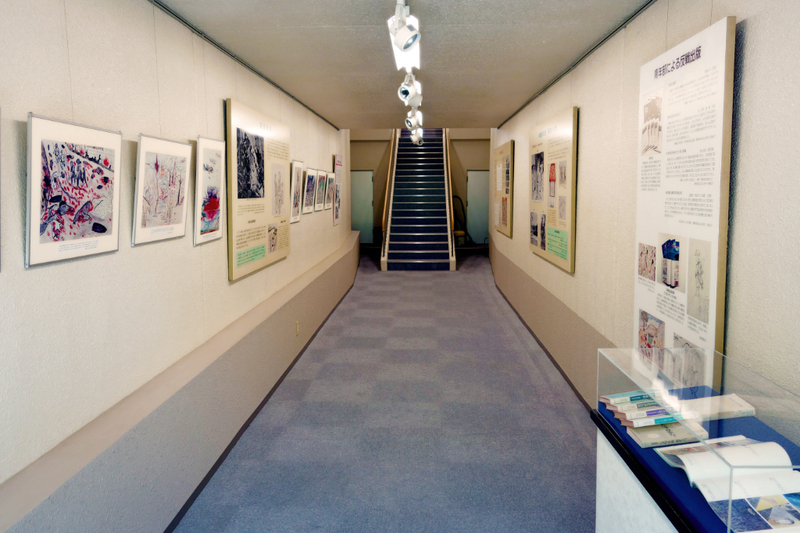 The missile silos now provide meeting spaces and offers two free museums, one contained in a restored silo which tells the story of nuclear weapons on Okinawa, and the other which features the story of the sect’s peace movement. The Onna Site nearing Completion. However, a short six months prior, a potential parallel drama was being played out on the other side of the world. On the tiny island of Okinawa, the US had deployed short-range nuclear missiles, nearly identical to those the Russians placed in the Caribbean, but ones which (unnecessarily) targeted China. The presence of these missiles on Okinawa, and more widely in Japan, still has not been fully or officially disclosed. But people have started talking: specifically, the people who were responsible for the maintenance and launching of these terrifyingly devastating weapons. 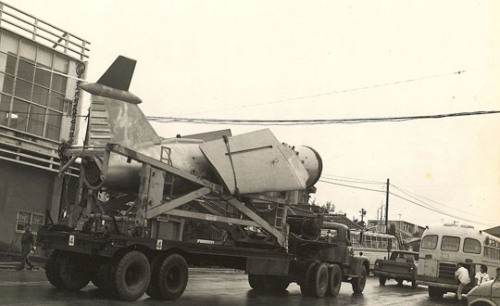 In the early 1960s, men of the 498th Tactical Missile Group (TMG) were the stewards of America’s latest weapon in the nuclear toolkit — the TM-76 “Mace.” The 40 foot long Mace missile, weighing over 8 tons and costing $500k each, packed a 1.1-megaton nuclear warhead that, at many times the power of the bomb dropped on Hiroshima, could annihilate anything within a three-mile radius of ground zero. Or, it could create a crater 20 stories deep when employed against hardened, buried targets. Some of those men, having trained intensively for months in the states destined for combat postings overseas assumed they would find themselves in Europe. Instead, much to their surprise, they found themselves on the long island-hopping flight to the far reaches of the Pacific, destination Okinawa. Why and how? 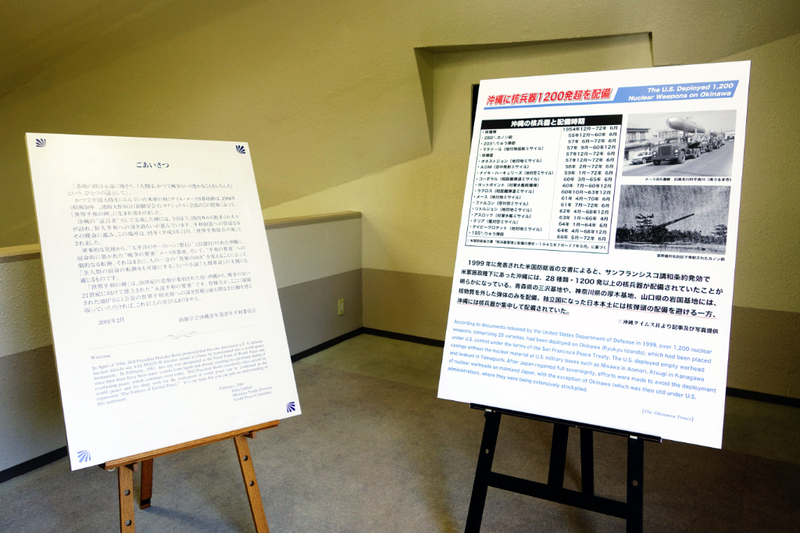 Well, the 1952 Treaty of San Francisco, the one which ended the U.S.-led Allied Occupation of mainland Japan, granted America continued control and administration of Okinawa – which lasted until 1972. After the communist transformation of China in 1949, followed by the hot and almost nuclear war in Korea in the first half of the 1950s, America rapidly transformed this peaceful sliver of land into the linchpin of its Cold War plans for Asia. 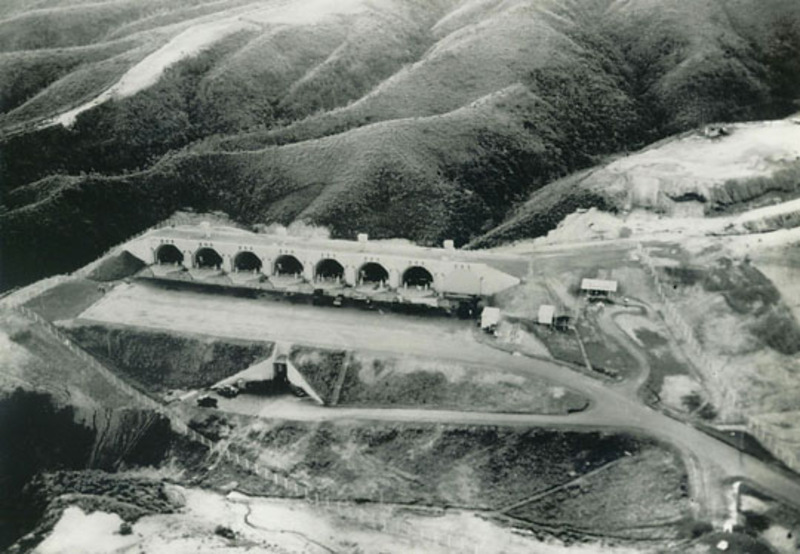 Starting in 1954, nuclear armed aircraft (see Nuking Japan for my very personal history involving nuclear bombs) and atomic artillery shells were deployed to and stockpiled on Kadena Air Force Base on Okinawa. These were the first of what would amount to at least 1,200 atomic weapons that would remain until their final removal in 1972. But that was just the start. 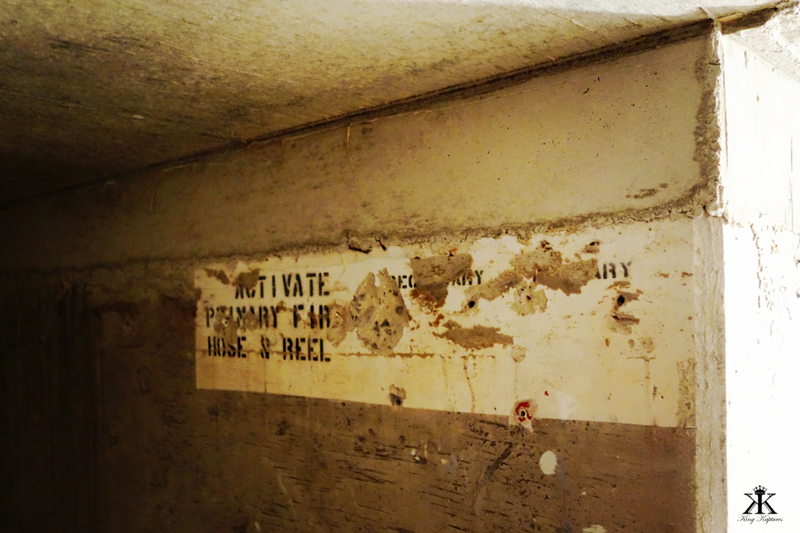 Starting in the early 1960s massive construction projects were in-work building semi-hardened silos designed to shelter and launch some of the earliest nuclear-tipped cruise missiles to be deployed. 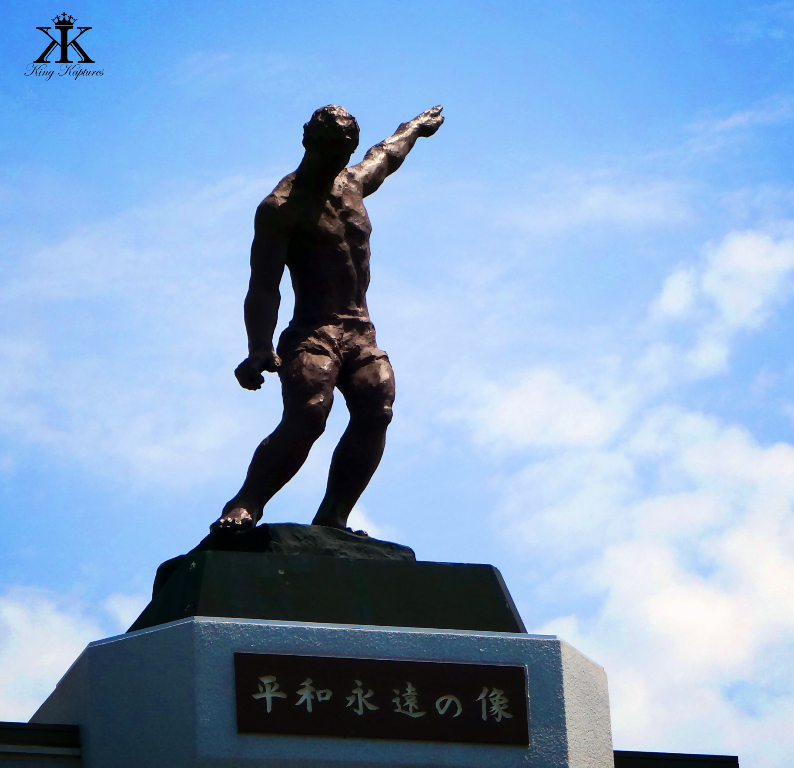 Back then, just 15 years after the Typhoon of Steel (see my blog of the same name for more on the Battle of Okinawa) that overtook Okinawa during WWII, the island still visibly bore the scars of war. Within view of the rusting hulks of war wrecks still lying just offshore, Bolo Point in the village of Yomitan became the first of Okinawa’s nuclear-missile sites to become operational in 1962. The site held eight Mace missiles aimed west over the East China Sea, ready to, as the TMG put it back then, “defend the island, protect the institution of democracy and halt the spread of communism.” The missiles were kept ready to fire at a moment’s notice. Although some surely thought their posting to the sunny and sea-surrounded sub-tropical island was a dream, the events of October 1962 dashed such hopes. The missile force found out about the Russian deployment of missiles well before the American public, and from that moment on, life for the missilers became much more serious. Russia had stationed nuclear weapons outside its borders for the first time, missiles capable of reaching Washington D.C. in fifteen minutes with a megaton warhead. President Kennedy took their deployment as a personal affront, branding Khrushchev “an immoral gangster.” The President demanded immediate removal by the Russians publicly, but secretly ordered his top military generals and admirals draw up plans to bomb the Cuban sites and even invade if the Russians refused. A standoff between the world’s nuclear superpowers ensued. The Pentagon raised the nation’s Defense Condition (“DEFCON”) to TWO. The Okinawan missilers were told that DEFCON 2 meant a declaration of nuclear war was possible within 15 minutes; if DEFCON 1 was reached, missile launch could be expected within 5 minutes. It looked as if launch orders might actually be received as events began to spiral out of control on the other side of the world. The Cubans shot down a U.S. spy plane flying over sovereign Cuban territory, and the American Navy dropped explosives on Russian submarines within a self-declared maritime exclusion zone surrounding Cuba, forcing them to surface. Okinawa braced itself for an escalation to DEFCON 1 at any moment. 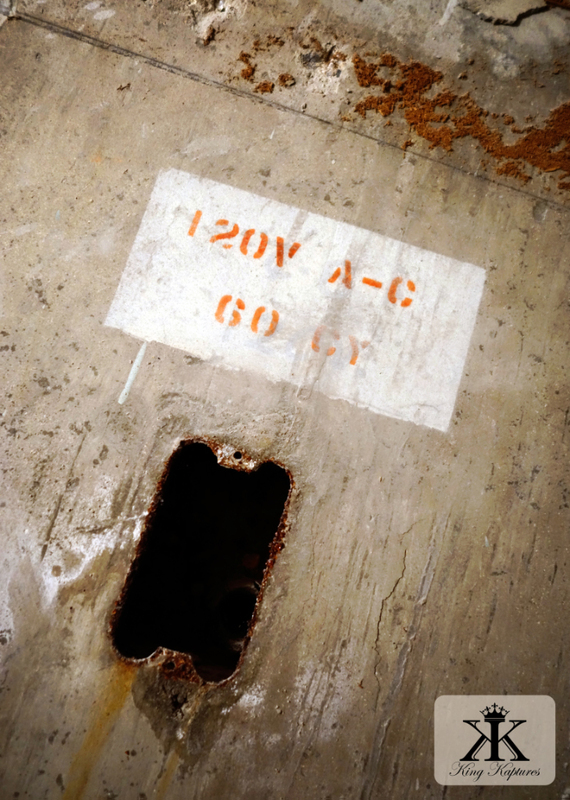 Sealed launch codes were delivered to launch sites, and personnel were locked in place. 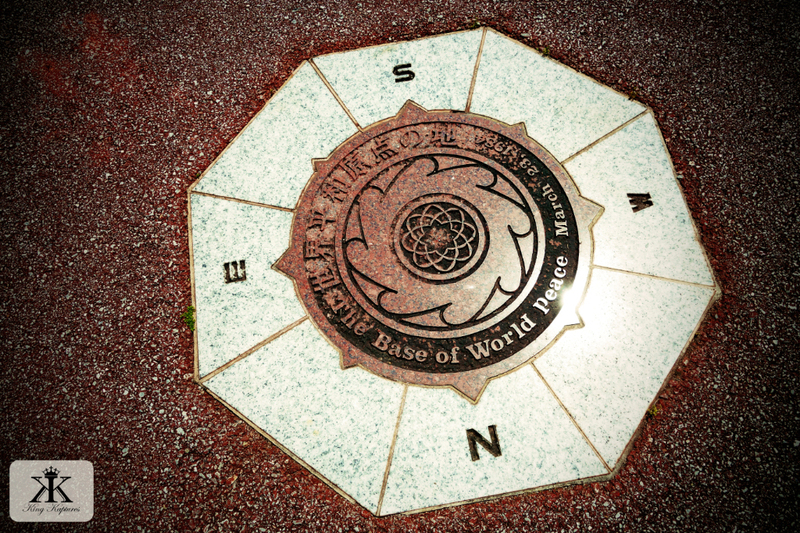 The world – both eastern and western hemispheres – was seconds away from midnight on the nuclear clock. Luckily for everyone, those launch orders were never issued. On October 28, 1962, Kennedy and Khrushchev finally struck a secret deal whereby the Soviets promised to withdraw their nuclear missiles from Cuba in return for promises by the United States not to invade the island and assurances we would pull atomic rockets out of NATO-aligned Turkey. 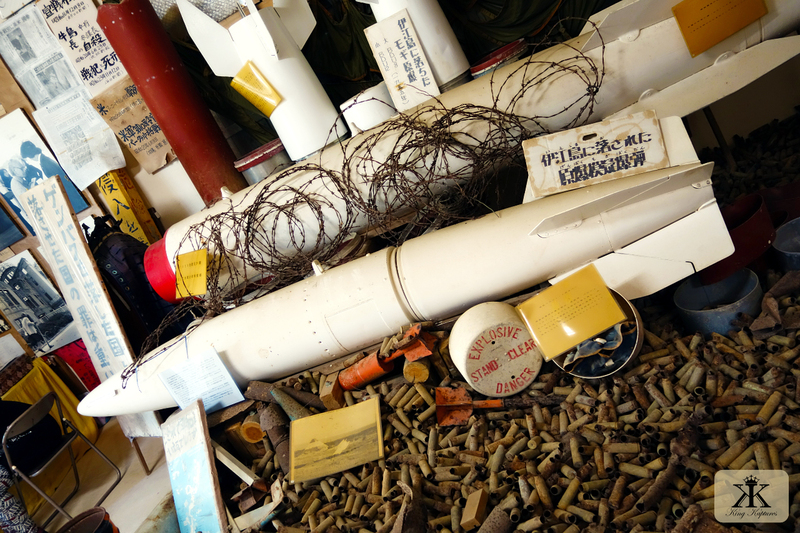 But where would have the Maces of Okinawa struck if and when they were launched? The missilers didn’t know for sure, but a safe (and pragmatically the only) assumption was somewhere in China. The relatively short-range of the missiles based on Okinawa put almost the entire USSR tantalizingly just out of reach. At the time, US intelligence leaned toward a belief that China was largely aligned with the Soviet Union. However, the Sino-Soviet split of the time is now well-documented, and highlights one of the worst intelligence failures of the Cold War. Given the existing and serious tensions between Russia and China, it is highly likely that Chairman Mao would have sat out any such Soviet-American Armageddon. On the other hand, had the Okinawan Maces annihilated Shanghai and Beijing – both cities easily within range – killing possibly a hundred million Chinese, the U.S. and China would have been most certainly at war, resulting no doubt in WWIII. In any case, most agree that the U.S. missiles on Okinawa – if they were known by the Russians – made the island a potential Soviet target. There was a very real chance of Okinawa evaporating in a preemptive or retaliatory Russian strike. JFK in 1962 had accused Castro of turning Cuba “into the first Latin American country to become a target for nuclear war.” But now it seems clear that the residents of Okinawa were also pawns (see my related blog Pawn Shop) in a far larger power play among distant superpowers that apparently cared little about the civilians whose lives their nuclear weapons were supposed to protect. 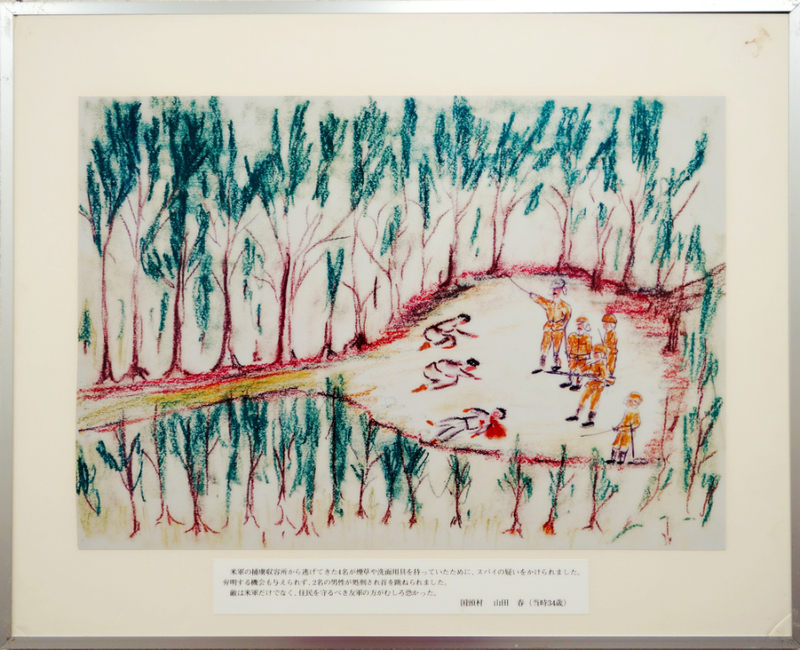 Throughout the 1960s, neither the government of Japan nor the U.S. admitted that there were nuclear weapons on Okinawa. The Japanese government didn’t want to confirm officially the presence of U.S. nuclear weapons on Okinawa because they hoped to avoid any responsibility for them. This kind of thinking has resulted in a big rift between Japan’s leadership and its ordinary citizens. 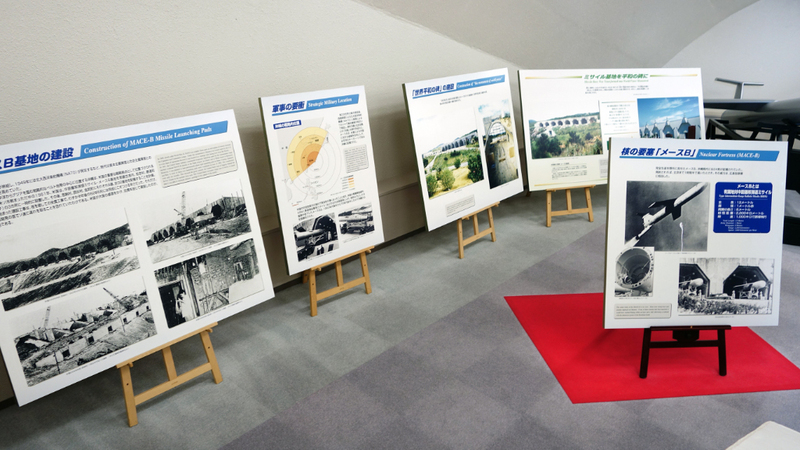 The Japanese government’s hypocrisy in pretending it knew nothing about U.S. nuclear weapons in Okinawa was necessary in order to maintain face with its public, especially since in 1954 the crew of the Japanese fishing boat Lucky Dragon #5 were mistakenly irradiated in the U.S. H-bomb test at Bikini Island. As a result more than 30 million Japanese people sign a petition in protest. 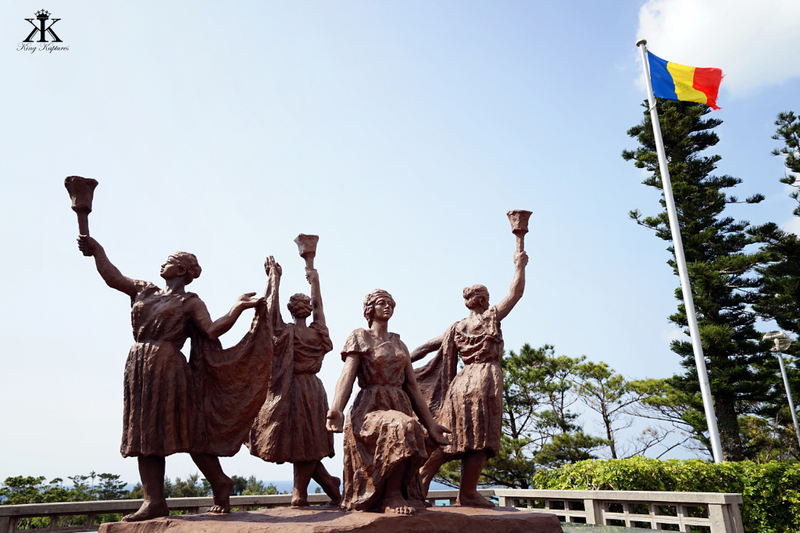 Then, in 1956 the Ryukyu Assembly of Elected Officials demands the withdrawal of all nuclear weapons from Okinawa and any other islands. In 1965 a hydrogen bomb is “lost” from the deck of the U.S.S. Ticonderoga 130 km off Okinawa’s coast, and in 1966 Iejima Island residents successfully blocked the deployment of U.S. Nike nuclear-tipped antiaircraft missiles. 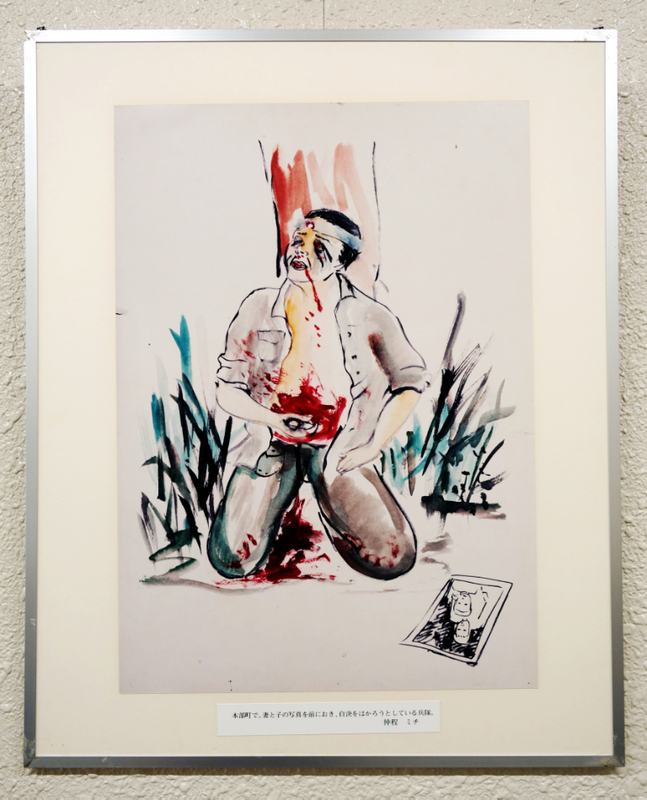 But it was only in 1971, when America and Japan were negotiating for the return of Okinawa to Japanese sovereignty that the U.S. government publicly admitted to their presence for the first time. And it did so by demanding that Tokyo help pay for the removal of nuclear arms from Okinawa! Wow. My visit to the Temple was fairly awe-inspiring. I consider myself not prone to naiveté, but I had assumed that Japan was left nuclear-free per their wishes. Silly boy! As one of the missilers put it, “We [Americans] were all just kids doing a man’s job. The American military machine taught us that it was our right to take anything or go anywhere we wanted. 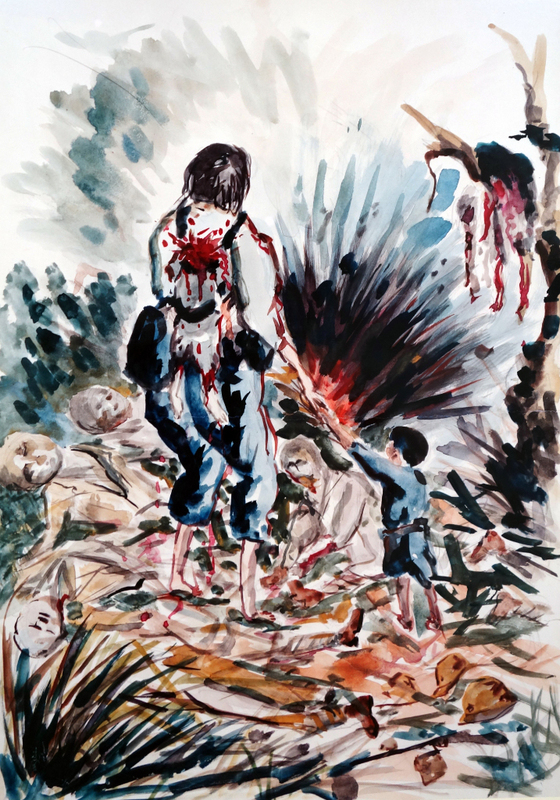 But we never realized that people didn’t want us or our weapons on their island.” To America, Okinawa then was neither American nor Japanese, but solid ground on which to station a far reach of our war machine. A machine that of course included nuclear weapons. Unfortunately, it seems that we, along with the majority of humanity, continue to act so foolishly. I however stand firm for change. 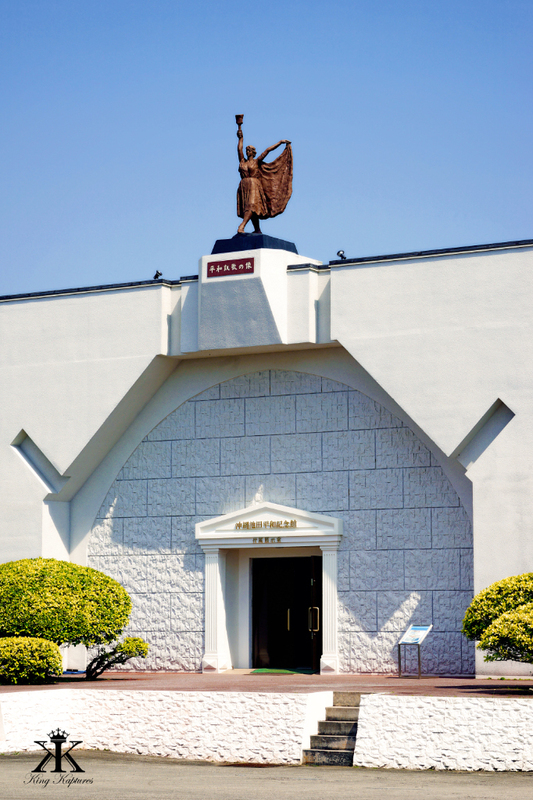 In leaving the Memorial Hall today, I signed the SGI’s roster, officially making me “Cosmo Politan” World Citizen #90,761. 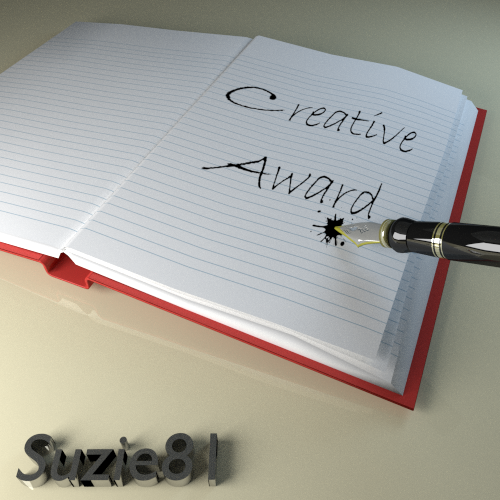 Each of us should always endeavor to Choose Hope…Choose Peace…Choose Life. Even if it’s one of us at a time. 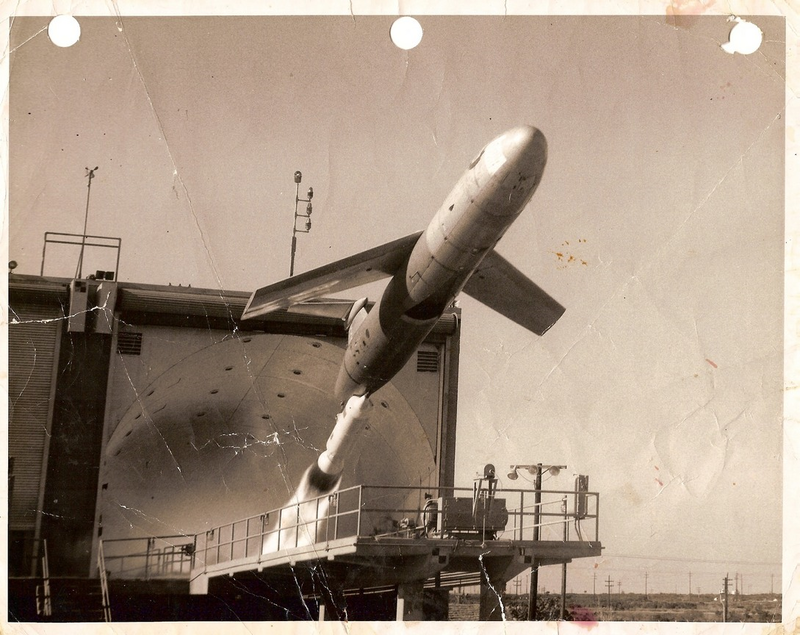 Some of the weapons deployed to Okinawa included the B43, B57 and of course the Mace cruise missile. The B43, put in service starting in 1961, was an air-dropped variable yield nuclear weapon used by a wide variety of aircraft, and was one of two primary nuclear weapons that I was trained to employ while flying the A-6E Intruder in the 1990s. The B43 was built in two variants, each with five different “dial-a-yield” options, and 2,000 weapons were produced through 1965. The B43 was 18 inches (45 cm) in diameter, about 13’ feet long, and around 2,100 pounds. Explosive yield varied from 70 kilotons to 1 megaton of TNT. The BDU-8 pictured below is the practice “shape” for this nuclear weapon and was recovered by Okinawans when it fell outside of the bombing range in Ie Island. 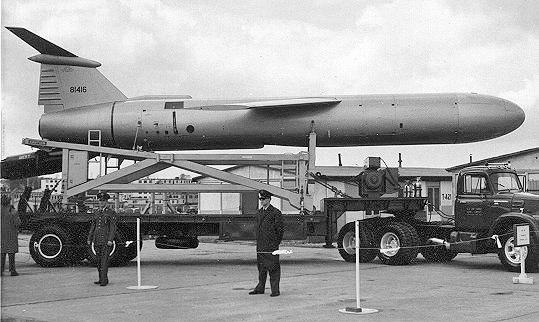 The B57 nuclear bomb was a tactical nuclear weapon developed during the Cold War, entering production in 1963. 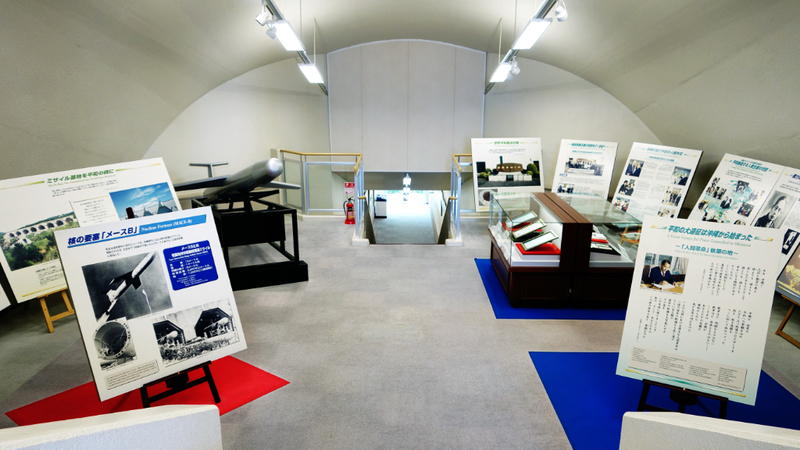 The bomb was designed to be dropped from high-speed tactical aircraft and was specifically streamlined for supersonic flight. It was about 10 feet long, about 15 inches in diameter, and weighed about 500 pounds. 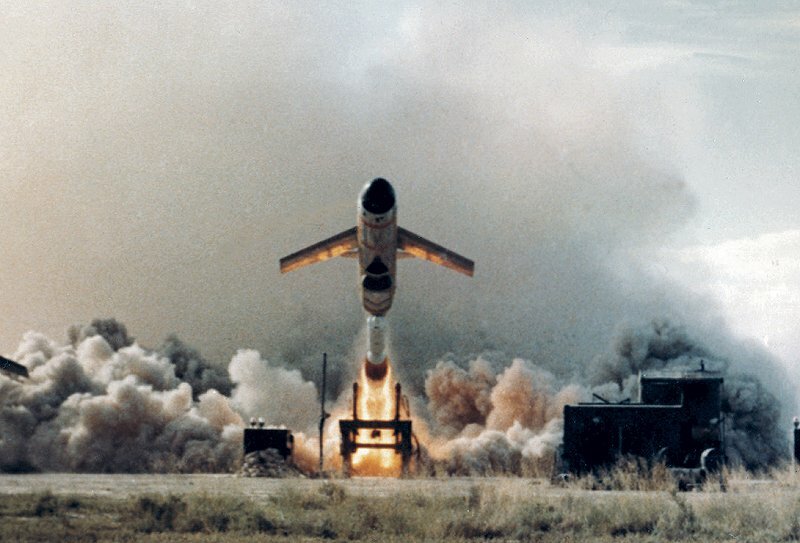 The B57 was produced in six versions with explosive yields ranging from 5 to 20 kilotons. 3,100 weapons were built through 1967, the last of which was retired in June 1993. 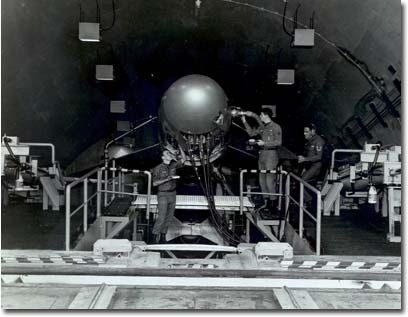 The BDU-12 Pictured above is the practice shape for this nuclear weapon, and was recovered in the same fashion as the shape described above. The Martin Mace (TM-76, MGM-13 or CGM-13) is a tactical cruise missile designed to destroy ground targets. It was developed from the MGM-1 Matador, and reached operational status in 1959. Mace was launched from a transporter-erector-launcher or a hardened bunker using a solid rocket booster for initial acceleration and an Allison J33-A-41 turbojet for sustained flight. The Goodyear Aircraft Corporation developed ATRAN (Automatic Terrain Recognition And Navigation, a radar map-matching system) in which the return from a radar scanning antenna was matched with a series of “maps” carried on board. The missile could reach Mach 0.85 (~600 mph) over a 540-mile range (low-level 750’), or 1,285 miles at high altitude. Mace “B” incorporated a jam-proof inertial guidance system (designated TM-76B), with range exceeding 1,300 miles. 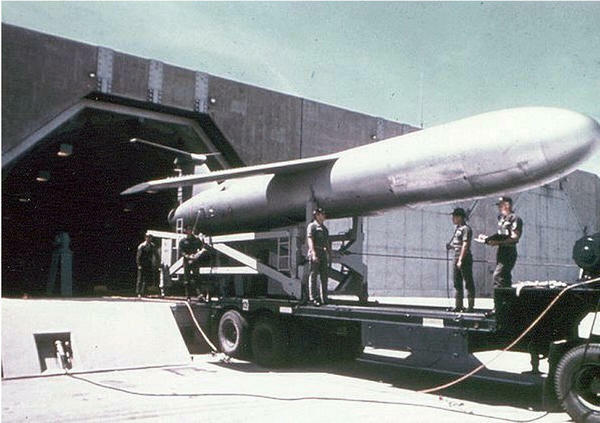 The Air Force first deployed Mace to West Germany, where six missile squadrons served with just short of 200 weapons. 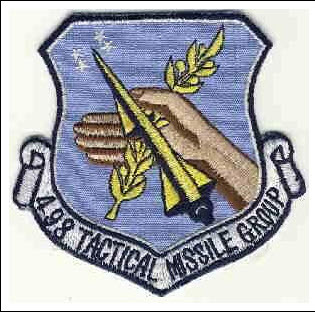 In South Korea, the 58th Tactical Missile Group became combat ready with 60 weapons in 1959, but was relocated to semi-hardened sites on Okinawa in 1961-62 with the 498th Tactical Missile Group.